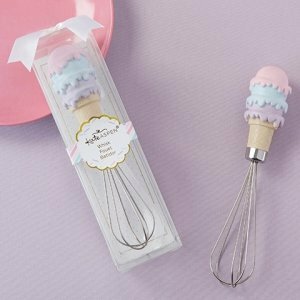 Celebrating a bun in the oven or hosting a stock the kitchen bridal shower, Kate Aspen's Ice Cream Whisk adds is sweet and functional favor. 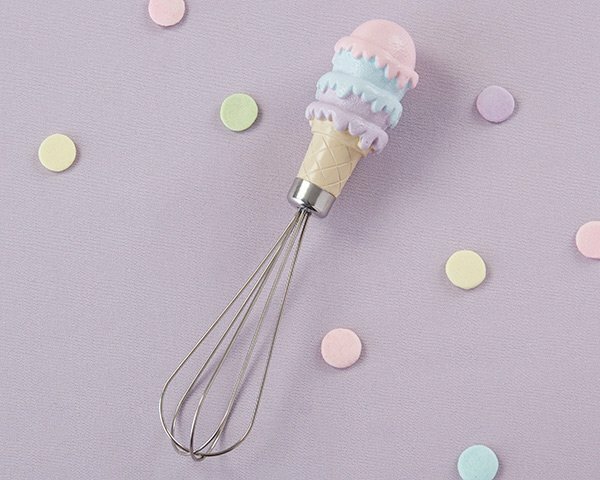 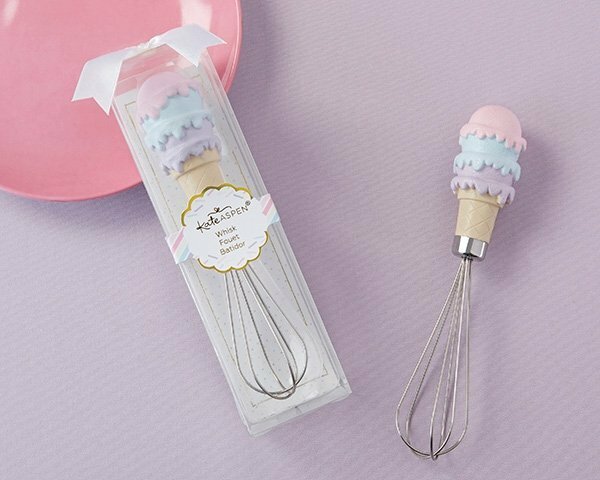 This mini wire whisk is topped with an ice cream cone, featuring three scoops: one lavender, one turquoise and one purple. 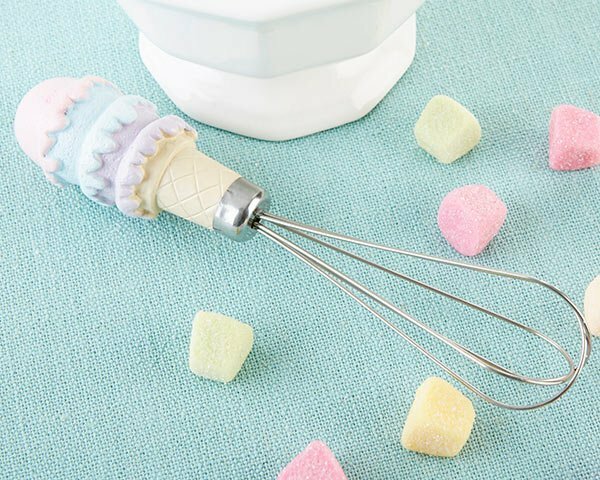 Whether using as decoration or for small baking projects with children, this is one favor that guests are sure to love.